Arthur Simeon is a Ugandan-born Toronto-based comedian who has been performing for a decade all over the world. 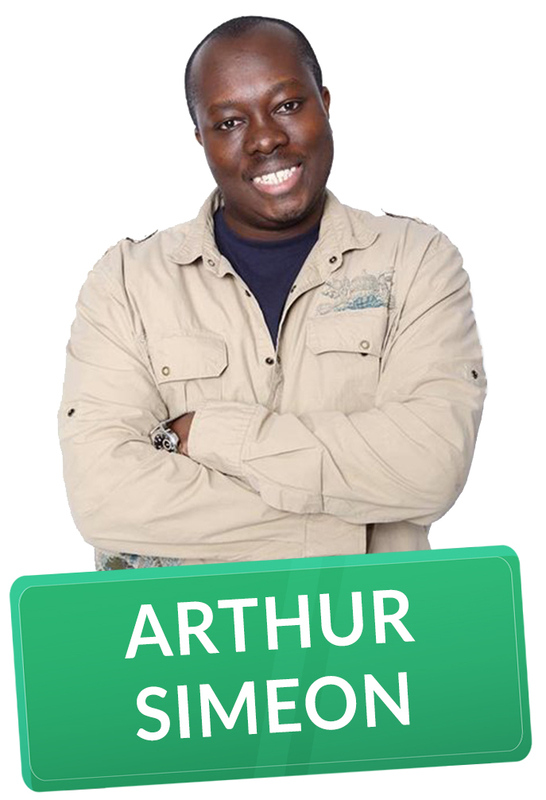 A truly gifted storyteller, Arthur has been invited to perform at the prestigious Just For Laughs comedy festival six times and appeared on CBC Television, HBO and the Comedy Network. His unique comedic voice and perspective has seen him featured in the Globe & Mail, NOW magazine and the Toronto Star. He’s also a regular on CBC Radio’s Laugh Out Loud and The Debaters. Arthur is a banana bread connoisseur and lover of slow jams.